I created a little scene on my card. 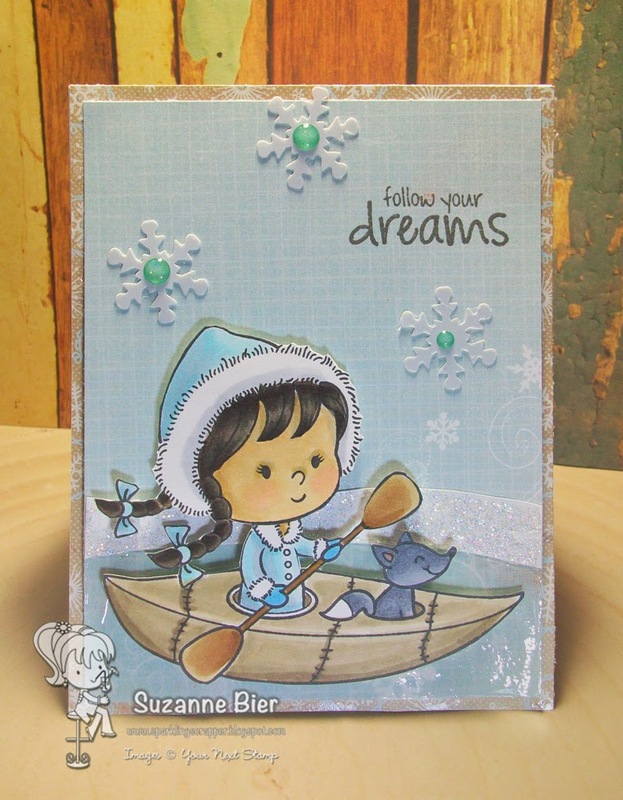 To make the water, I used Glossy Accents over the patterned paper. I cut an arch of white card stock and added glitter glue to create the snow. Here’s another look at the card front, so you can see that she’s attached her to the card with some foam tape for dimension. The snowflakes are accented with Sparkly Teal Gumdrops. Be sure to come back tomorrow, when we kick off the December release with a blog hop! You could be one of the lucky winners of a gift certificate to the YNS Store! And, I’ll have a special sale code for your next purchase at Your Next Stamp! 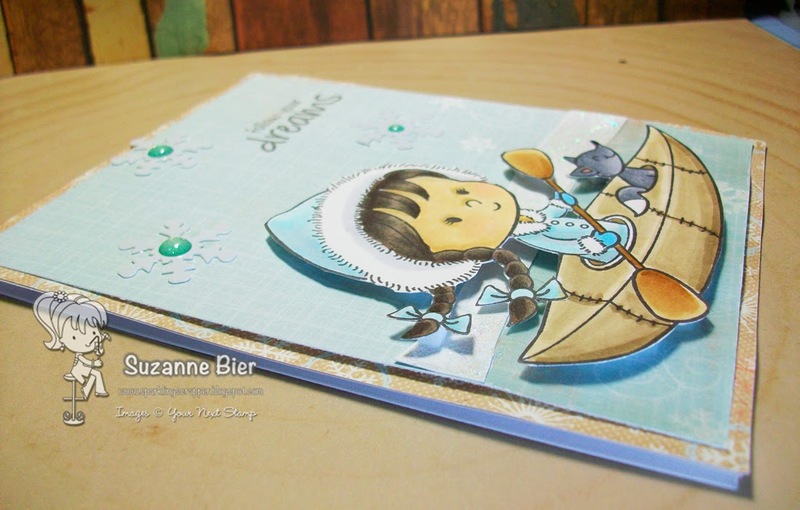 Your Next Stamp’s December New Release Hop! This wonderful! Love the way you created the water. So sweet with the sparkle and shine. Wonderful to have you back for the month!